Plastic shopping bags are an extremely efficient choice for packaging requirements. These bags come with a cut out handle usually referred to as a die cut handle. The large imprint area with the high gloss, high intensity print is excellent for showcasing your brand. 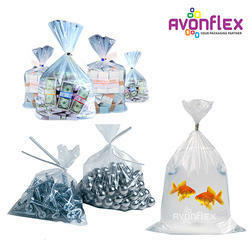 Avonflex offers these bags in low density and high density. Low density die cut handle bags provide exceptional resistance against tearing and puncturing; high density bags make these films more durable and the die cut carrying handle makes them very user-friendly. We collectively offer wide range of collection in shopping bags which makes it easy for our client to choose from. We customize these bags as per clients' requirement ranging from different size, colors and shapes. Great for retail merchandise, literature, cards, books, and much more! 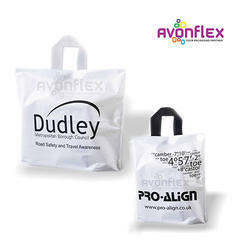 At Avonflex we make these bags with high-density plastic which resist punctures or tears. With the help of latest technology and best grade raw materials, we manufacture these T-Shirt bags in such a manner that it becomes strong, attractive and easy to carry. Gusseted sides give extra storage space and expandability for bulky items. We can supply a wide variety of poly bags such as clear flat bags, gusseted bags, anti-static poly bags, poly tubing, etc. we manufacturer poly bags which meet FDA requirements for use in food applications. 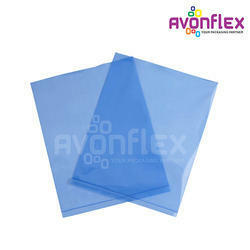 Avonflex manufactures bags as per industry requirement. Materials used for manufacturing of this bags are of superior quality. A Plastic Magazine Jacket Book Covers manufactured at Avonflex is compatible to all types of magazines. 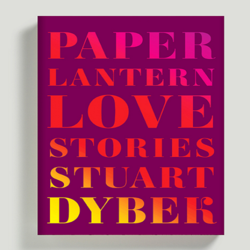 This Book covers are used for book post and are self-sealable. Avonflex manufactures jackets as per industry requirement. The material offered by Avonflex is manufactured using superior quality of raw materials and latest technologies. Soft loop handle bags are gaining renewed popularity as environmental concerns become increasingly important to both customers and companies alike. Also known as flexi loop handle bags, they are found in many retail stores and are used for a wide range of different purposes in a variety of diverse shapes and sizes. These flexi loop handle bags feature deep gussets which help the bags to stand without tipping over and reduce the chance of spillage. 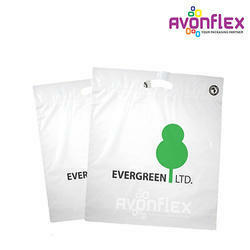 The soft-loop handle bags offered by Avonflex are custom designed and manufactured. Our wholesale soft loop handle bags are made from a strong and economical high density material offers a high degree of water resistance. The high density material also helps the bag to not rip or tear. Nowadays advertising is must for any brand or product. The company spends lots of money for advertisement but there is also another cheap and best way to advertise your brand, company, etc. We provide you the best quality in photogenic bags. We make these bags with eco-friendly and best raw materials, fine colors and latest technology. You don't have to compromise with quality and finishing. Photogenic plastic bags will help you and your business to grow because these bags will do publicity of your brand, showroom etc. The bags provided by us will be eye catchy with fine finishing, dust and moisture resistant. We are apt in putting messages or symbols in the most effective manner. These bags are light in weight and easy to carry. Avonflex offers HM-HDPE LDPE liner which is suited to products which require that the product inside is not damaged by moisture or condensation. Liner is the best solution to avoid leakage of very fine materials in powder form. We offer a wide range of HM-HDPE LDPE liner of varied thickness and sizes as per customer requirement both in bag roll form. 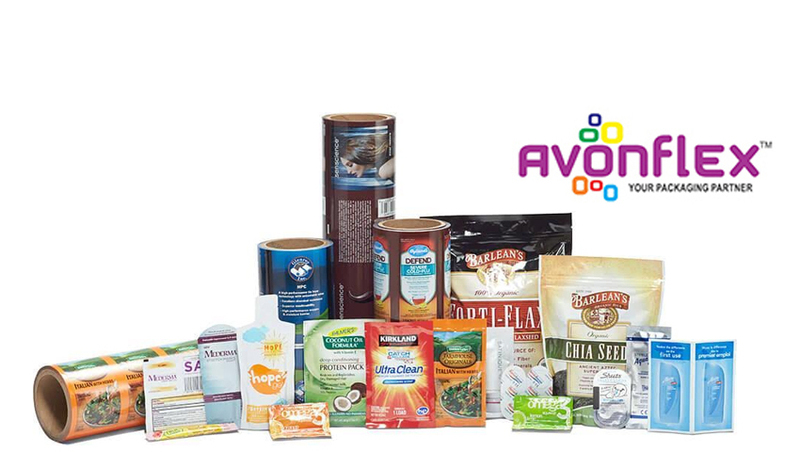 Avonflex has engineered sustainable solutions for packaging of garment and consumer apparel. These products are made from materials that are environment friendly and are re-cyclable. Garment Packaging is used to protect clothing in-store and during warehouse storage & transit and also helps in brand visibility of the company. At Avonflex we provide an extensive range of high quality garment polybags and Printed BOPP Bags designed to present and package clothing in the most attractive way. Also known as apparel bags, warning notice bags, and bags for clothing, we have a complete range of clear garment bags in all sizes that are suitable for clothing industry suppliers, wholesalers and retailers, and are frequently used by the dry cleaning industry. Bio degradable D-Cut Bag is suitable for use in retail stores, conventions and trade shows. The D-Cut Bag is made using quality grade raw materials which ensure optimum durability along with long lasting trouble free service. 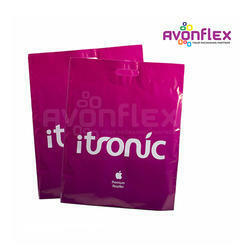 At Avonflex we manufacture these bags as per the client's requirement from various colors and shapes. Apart from that, we customize the bags as per the client specification. 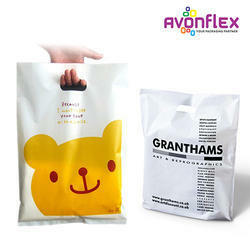 We use award winning rotogravure flexographic printing for our biodegradable bags. So, your retail bags can best appeal to both your environmental conscious and design savvy customers. At Avonflex anti-static bags & static shielding bags come in a range of sizes that are designed for the safe handling and packaging of electronic components and assemblies. Antistatic bags are designed to provide ESD sensitive devices and components protection from electrostatic fields and discharges whenever they are outside of the safe working environment. Ultimate protection can be achieved by placing components in a material with a conductive layer, giving a complete Faraday Cage effect.